Whether you're installing new gutters, windows and doors or siding, you should feel secure in your investment. With products installed by Home Solutions Midwest, you'll have peace of mind knowing you're covered. Plus, knowing what your warranty covers can save you thousands in repair costs. Home Solutions Midwest offers a fully transferable limited warranty on all our replacement windows. 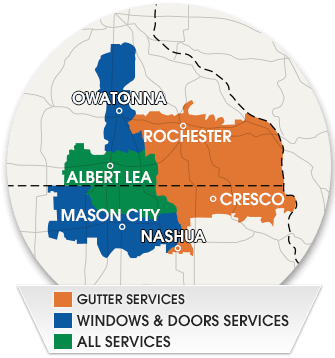 We cover all parts, labor, and installation services for our Renewal by Andersen windows for up to 20 years. ProVia doors comes with a transferable lifetime limited warranty on materials and workmanship. Doors are warrantied against chipping, cracking, peeling, pitting or blistering and the warranty also covers aspects of the finish, hardware, handles and glass. Additionally, it carries a workmanship warranty for 20 years that is exclusive to customers of ABC Seamless Siding and Home Solutions Midwest.